In the near future, most workplaces are predicted to be occupied by robots. Even today, it’s hard to underestimate artificial intelligence, especially in the trading sector. 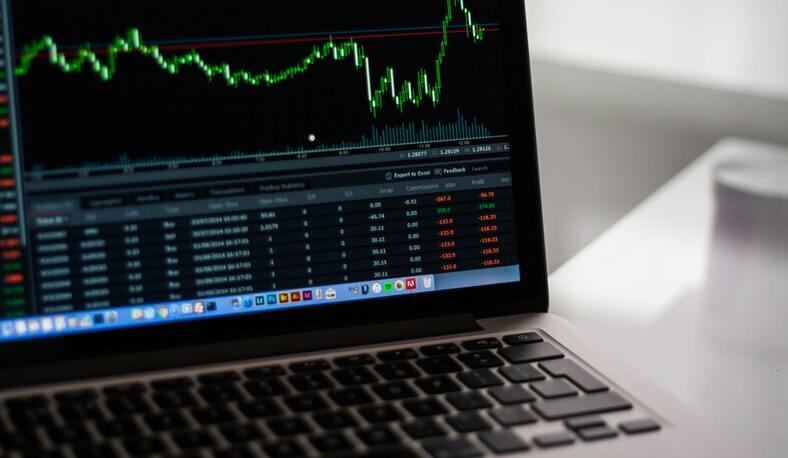 With AI-powered platforms, traders can significantly increase their capabilities handling huge amounts of data and constantly improving their forecasts. Human workers who previously planned financial strategies, not always successfully though, will be replaced by robots, and their job functions will succumb to automation. Despite all these obvious benefits, there is still some distrust of AI, and nobody is entirely sure whether this technology is a boon or a bane. Let’s see why artificial intelligence in trading seems to be a little overhyped and what’s really going on with trading robots. Some people hype AI saying it’s indispensable for financial trading, while others doubt its high value. Here are some myths about trading robots. Possible unemployment. The global fear that robots will completely take over the trading labor market is pure fiction. AI isn’t going to do work for traders but will obviously help them do their business better. High Cost. Certainly, AI may cost trading companies a fortune. Developing, installing and maintaining a robot can be expensive. Also, this technology requires costly upgrades and highly qualified specialists to constantly monitor system performance. Nevertheless, trading can take advantage of the AI potential and multiply its revenue covering all the initial costs. Cyberattacks. No one is completely safe from cybercriminals who can invade the system. Artificial intelligence is what traders can rely on since robots not only help to protect the system: they also predict cyber attacks and prevent the possible invasion. Despite the above-mentioned anxieties about artificial intelligence, this technology is progressing faster than people expected, and it’s offering lots of opportunities for the trading market. Today, more and more trading companies are beginning to trust AI to improve human decision-making and handle hundreds of transactional operations and investments. The first step forward has been taken by AiX, the AI broker when they completed the first cryptocurrency transaction between Rockwell Capital Management and TLDR Capital with the help of an AI-powered bot. Artificial intelligence is no longer an innovation for Wall Street, and all trading companies have to accept the challenge to stand out. This technology has been developed to assist traders in their daily routine as well as to make all the operations faster and more effective. Well, we’ve destroyed the myths about trading robots, haven’t we? What about the reality? Data analytics. The majority of stock markets have already been powered by AI. Robots take large amounts of unstructured data for analysis and then make use of it in trades. The collected information may also help to make predictions and foresee competitors’ actions and reactions. Error Reduction. AI helps traders to reach greater accuracy and make fewer mistakes in transactions and forecasts. Robots aren’t subjected to the so-called “human factor” and can perform the same task for years without losing concentration or slipping up. Non-stop work. Unlike people, robots will never get tired. Machines are designed to work without breaks and perform their duties non-stop. Robots will obviously have their place in trading as they are able to make unbiased and highly accurate predictions using Big Data. Yet, machines aren’t going to replace traders and brokers in decision-making: financial companies and their clients are still wary of robots and aren’t ready to trust robots to manage their finances. Darya Danikovich is a marketing specialist and consultant on trading platform development at Softvelopers - a custom software development company.